Here at Synchronicity Tattoo Studio we strive to spark your imagination and help you brainstorm ideas. I connect the past and future by combining established traditional and new experimental designs in my work. Through the art of tattooing we aim to contribute to improve the daily lives of our clients and a culturally richer society overall. Our artists are versatile, talented, and experienced in all styles of tattooing. The styles we specialize in include: Traditional Japanese, Neo-Japanese, Realistic, Old-School, Neo-Traditional, biomecha, Water color, Black and Gray, Tribal, and Lettering. Our artists will do designs you bring in, and will work with you on custom designs, cover-ups, coin size of one point tattoo and your halfway tattoo. Our mission is to help you appreciate and enjoy the art of tattoo. Please come and experience the art of tattoo first-hand, come in and see our latest tattoos. I started tattoo since 2000 and have been challenge tattoo in various styles. My favorite genre are realistic (real tattoo), neo japanese (new japanese style), organic bio (organic biomeka), space tattoo (space pattern), water color (expression like watercolor painting) , Neo-traditional (new American style), etc. It is also possible to mix them. Please tell me your wishes. I have been working professionally as a tattoo artist since 2008. In 2015 I moved to Okinawa and joined Synchronicity in July 2018. I am able to do tattoos of various styles including Japanese and American traditional styles. I work with my customers to best meet their requests. I was born in Aichi, in 1991. 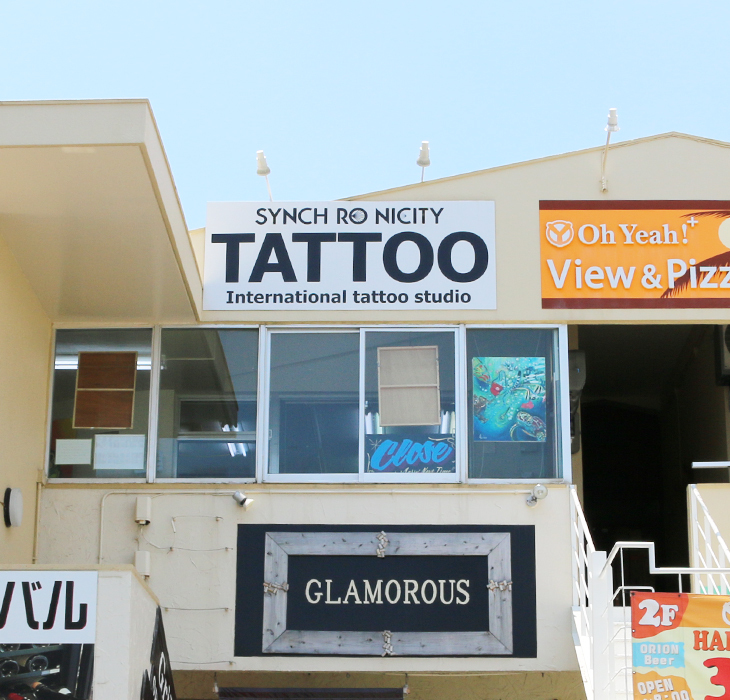 I began my tattoo training in Nagoya and then moved to Okinawa in 2012. 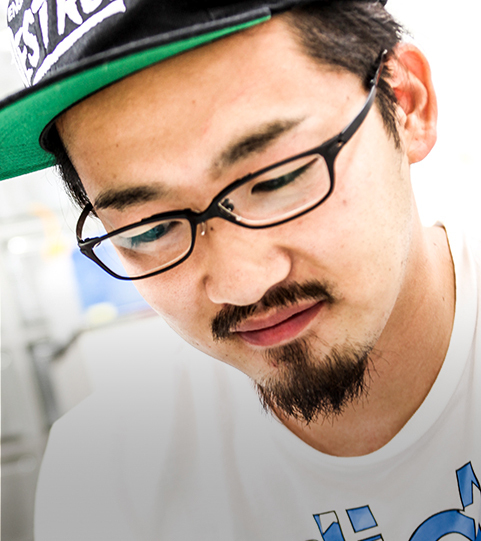 In 2014, I started working professionally as a tattoo artist at the tattoo studio in Kin, Okinawa. I have just joined Synchronicity Studio, I started January 2019. I am skilled in all genres of tattoo. My favorite styles are; Neo Traditional, New School, Realistic and Wabori. I want share my love of tattoos with everyone. I'm looking forward to working with you on your next amazing tattoo. Please talk about a design and reservation day from Tell or contact form or Facebook. When making a reservation, necessary to present an identification card with a face picture (license, passport, Juki card etc.) that can confirm the age. Needle, ink, ink cap, and gloves are all disposable. All other appliances use are processed in an atultrasonic cleaner and an Autoclave. Allergies, Chronic Diseases, Infectious Diseases, etc. should always be declared in advance. We will refuse tattoo for those under the age of 18. If your skin is sunburned and condition is not good, we may postpone the procedure. Please refrain from drinking the day before the reservation day and on the day (after the operation). The day of operation, Please take a good sleep and prepare for your physical condition before you visit us.